The Montclair station is part of the Foothill Gold Line from Glendora to Montclair, and will be located at the Montclair TransCenter, just east of Monte Vista Avenue and north of Arrow Highway. The Gold Line station will be a center platform station, with light rail tracks on either side (one for westbound and one for eastbound trains) and will be located to the north of the existing Metrolink platforms. 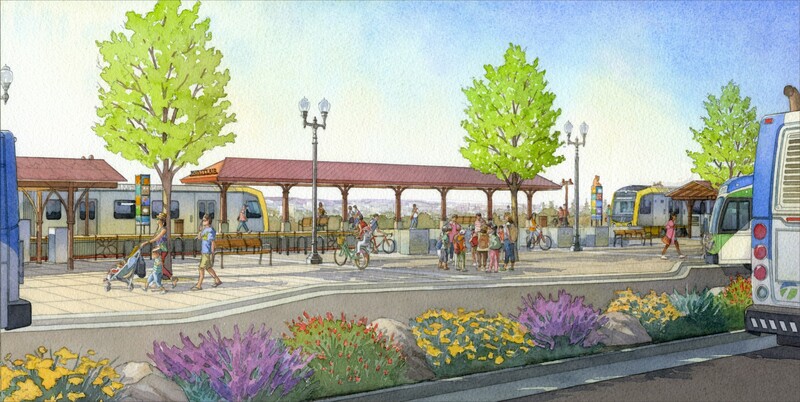 A connection will be built between the Gold Line and Metrolink platforms via the existing pedestrian tunnel to facilitate pedestrian movement between systems. The current parking lot will be shared with Metrolink and the Gold Line, and have amenities for riders arriving by walking, bicycle, bus and drop-off. Once completed, four tracks will run through the City of Montclair within one shared corridor – two light rail tracks on the north side for the Gold Line and two Metrolink/freight tracks on the south. While they will share the rail corridor, light rail trains and freight/Metrolink trains do not share tracks or stations. Minimal permanent changes are anticipated in the City of Montclair, and will include a new light rail bridge over Monte Vista Ave, new walls and fencing along the light rail corridor, and new overhead lines to power the Gold Line system. Once completed, a trip from Montclair to Pasadena will take approximately 38 minutes and further to downtown Los Angeles will take approximately 67 minutes. Ruth Ann Anderson is an accomplished artist based in Southern California. Some of her works include a life-size sculpture for the Lincoln Heights/Cypress Park Gold Line station; and In Living Memory, a public eco-art project using the memories of senior citizens to recall the environment of Los Angeles 50-70 years ago recorded on posters for Los Angeles bus shelters. Ruth Ann graduated from California State University Long Beach with a Masters of Fine Arts. She is the past recipient of numerous grants and awards including a Metro Transportation Authority Award, City of Los Angeles Cultural Affairs Grant, and LACE (an Interdisciplinary Grant through the Nation Endowment of the Arts). She currently teaches art classes at California State University, Northridge. During a period of research and outreach to develop her artwork concept for the site, Ruth Ann noted the colorful illustrations of citrus packing labels and appropriated this graphic style to tell stories of historical and present-day Montclair. During 2006-7, the Construction Authority worked with the City of Montclair (along with all other Foothill Gold Line cities from Pasadena to Montclair) to explore their visions for integrating transit oriented developments (TOD) near the future station. Situated at the end of the proposed Foothill Gold Line corridor, the City of Montclair is already expanding its vision of transit-oriented development (TOD) around the existing “Transcenter.” In their North Montclair Downtown Specific Plan (adopted May 2006), city leaders capitalized on this already active transportation hub and created a vision guided by transit-oriented design principles. 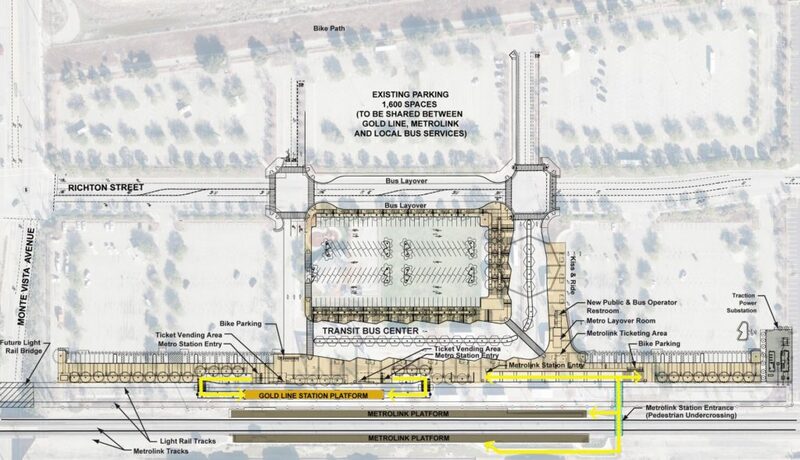 The plan includes the addition of a new and expanded transit center that will encompass the existing Metrolink Station and future Metro Gold Line station platforms. The Town Center at the Transit Station focuses on improving mobility, and creating a “sense of place” complete with commercial and mixed-use buildings, a grocery store, hotel and parking facilities. 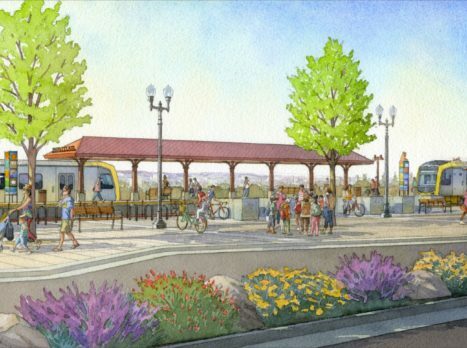 The plan begins with new architectural designs for the Metrolink and Metro Gold Line station stops and reconfiguration of existing bus platforms to improve bus and train transfers. Commercial and mixed-use buildings are proposed at Fremont Avenue and Arrow Highway with ground floor retail and housing/office uses on upper floors. Conveniently, the plan includes a large grocery store on the corner of Arrow Highway and Central Avenue to serve new Town Center residents. Other amenities include a hotel for Montclair visitors near the transit square/train station and a four-to five-level parking structure adjacent to the railway. The Construction Authority and city began a new dialogue through another TOD study in 2010, which revisited the earlier concepts following the economic downturn. In 2016, the Construction Authority measured the progress of TOD implementation since the first segment of the line opened for passenger service in 2003, including reviewing the potential TOD that could take place near the stations looking forward. Click here to learn more about the TOD Studies. 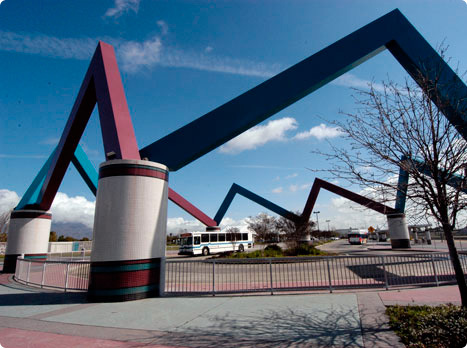 Built in an area once inhabited by the Serrano Indians, the city, then called Monte Vista was certified as a general law city on April 25, 1956. Two years later the residents voted to change the name to Montclair. Situated on a railroad line, it was natural that Montclair would become an important shopping area. 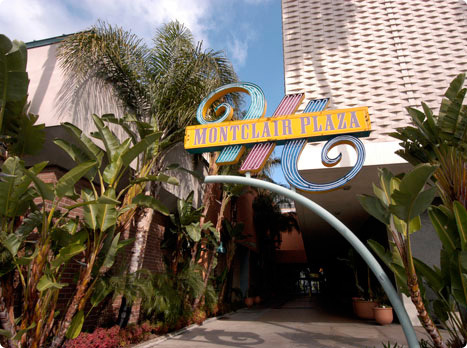 The opening of the Montclair Plaza in 1968 solidified the city’s position as a leader in retail trade and ushered in a new era of growth for the entire area. Montclair occupies a power position poised between Los Angeles County and the thriving Inland Empire. Set squarely between the two on the I-10 travel corridor, Montclair benefits from both the dynamic business environment of Los Angeles and the fast-growing markets of the Inland Empire. This premier location is the foundation for Montclair’s established position as a retail and business powerhouse and regional community leader. Montclair is now a full-service City with its own Police and Fire Departments and has a young and diverse population that represents the ethnic and cultural diversity that is characteristic of Southern California.